My first encounter of pipa duck was in a small town called Lunas and I’ve since become a fan of this dish that is both crispy and meaty. 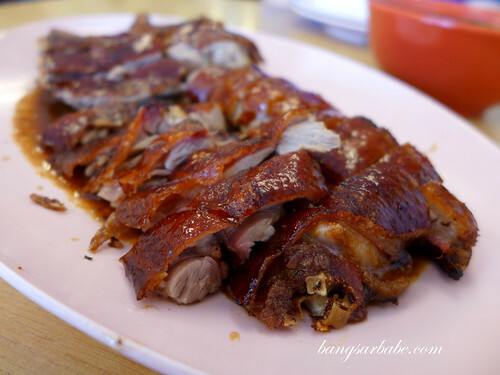 Then I discovered the duck from Chu Yoke Weng, sold in a coffeeshop in Air Itam and have been going back ever since. 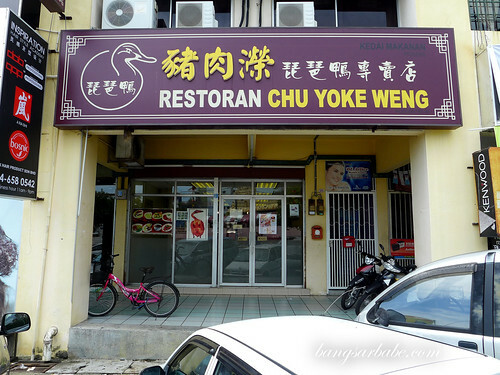 When a friend told me about the original Chu Yoke Weng outlet in Sungai Dua, I knew I had to pay this place a visit. Good thing rif and I got there before noon, so the food came quite quickly. 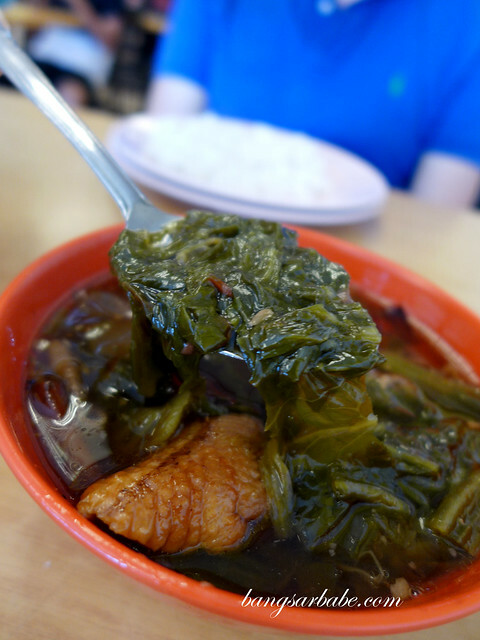 We ordered half a pipa duck, fried seafood beancurd and sweet sour vegetable soup (chai buey). 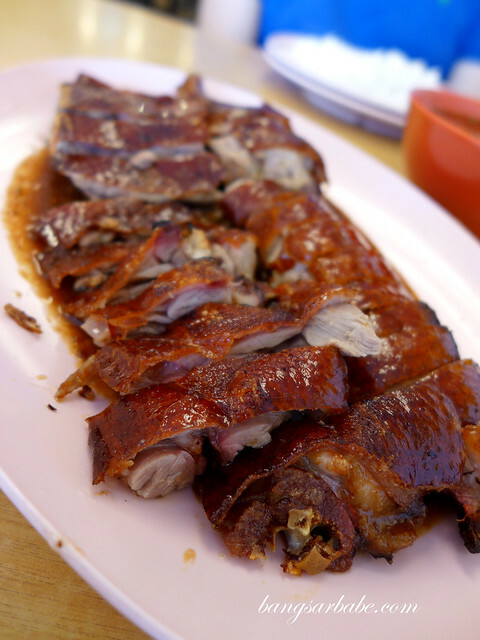 The pipa duck was slightly on the gamey side, despite the skin being thin and crispy. I found the flavour too strong for my liking and the accompanying sauce further accentuated the gamey taste. 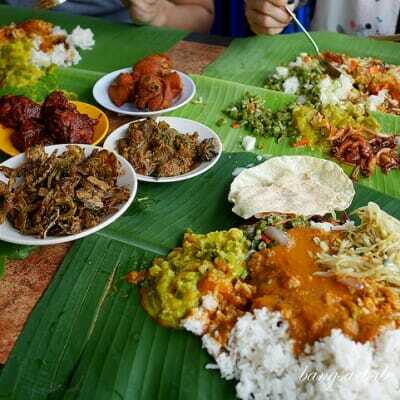 Perhaps the duck I got that afternoon wasn’t very good, as the one from Air Itam didn’t taste as strong. 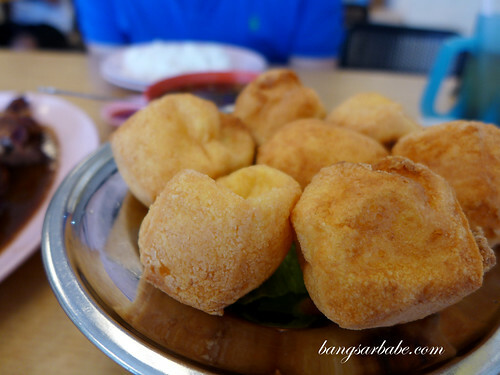 I did however like the fried seafood beancurd, served with a piquant chilli sauce. This was nicely fried and puffy at the centre. The chai buey was nothing to shout about really – the broth was lacklustre, lacking oomph from the asam keeping, dried chilli and meats. Overall, I wasn’t impressed with the place despite it being the original Chu Yoke Weng outlet. 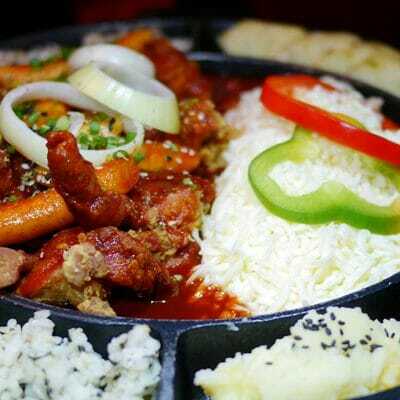 Will give this another try when I’m in Penang to see if the duck is of such standard. Verdict: Not bad but not the best pipa duck I’ve eaten either.